“HBOS, the UK bank that was one of the biggest casualties of the credit crunch, used a list of traits to rate budding leaders. An executive with “HBOS DNA”, the list said, “believes the unbelievable and conveys to all around a real sense of heroic optimism”. 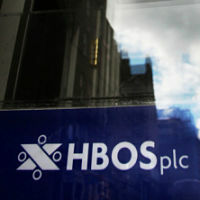 “Now, a much-delayed report into the (HBOS collapse) makes clear why optimism and suspension of disbelief were indispensable. The bank’s strategy was in essence a nice wrapper round a bundle of plans drawn up by different divisions. “By allowing (this) bottom-up approach to bloom, HBOS strategy became mixed up with divisional performance targets. Directors and senior executives did not exercise critical oversight … and failed to set a path that was appropriate for the whole group.